CARSTAR’s new boss, Driven Brands Paint & Collision head Jose Costa, shared a couple of interesting tidbits this week with the Canadian Collision Repair magazine, including that Driven would “never” merge the franchise with MAACO. “No, never,” he told Collision Repair in an article posted Sunday. 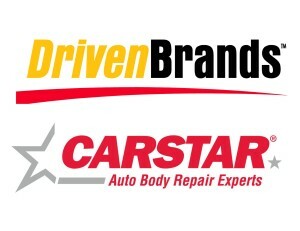 Following the Oct. 21 acquisition, Driven placed MAACO, CARSTAR, and Drive N Style under Costa. CARSTAR CEO David Byers will report to Costa but continue to run that company. Costa in the article echoed Byers in that MAACO and CARSTAR (and presumably Drive N Style) will continue to be treated as separate companies. He also offered some interesting perspective on the two companies’ direct repair programs, telling Collision Repair MAACO is only about 2 percent DRP. He also clarified that Driven only bought CARSTAR’s U.S. locations, not its Canadian branches, and signaled that Driven wasn’t finished buying collision repair businesses. Check out the Collision Repair piece and this one from Autobody News for more Costa quotes, and don’t miss our interview with Byers.